Women journalists in Gaza are stressing the urgent need to ensure protection for Palestinian women journalists, and to take further measures to seek redress and rehabilitation for those who face psychological and social assaults. They are also addressing the need to expose all Israeli violations against Palestinian journalists to the international community. Moreover, they are recommending the formation of a pressure force on decision makers to reform all current laws which hinder their journalistic activities with all the social challenges. 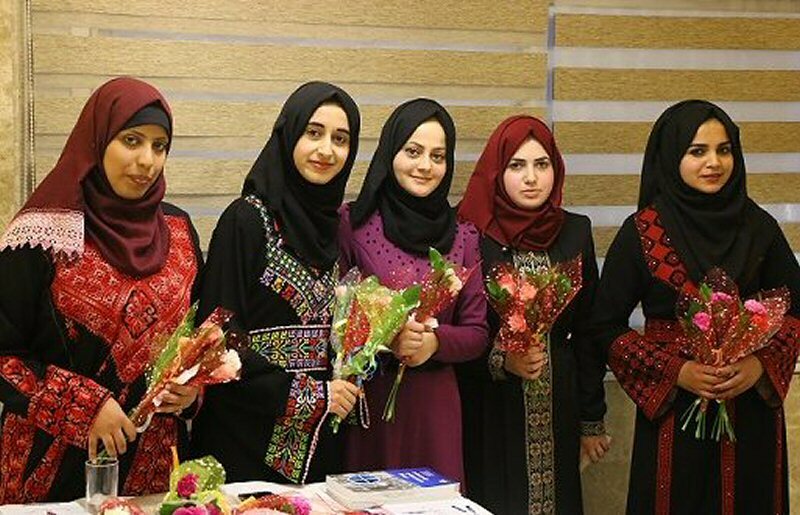 Such recommendations emerged recently, during a meeting organized in Gaza by MADA-The Palestinian Center for Development and Media Freedoms, on the occasion of the International Women’s Day, as part of a series of activities organized by the MADA Center in the West Bank and Gaza Strip. The meeting was organized in cooperation with the Representative Office of Finland in Ramallah, to legally empower and raise awareness of Palestinian women journalists, especially in light of the doubled violations they are subjected to. Dr. Ahmad Hammad kicked off the meeting, stressing the very difficult political and social circumstance, especially in recent years and the Palestinian political division, which increased the pace of media freedom violations. On the internal level, Dr. Hammad stressed the fact that internal violations by opposing Palestinian factions witnessed a worrying escalation due to the continued political division, as both males and females journalists were targeted and violated. He pointed out that, in this meeting, the Center has tried to highlight the opportunities, experiences and challenges faced by Palestinian women journalists and to focus on providing treatments with the professional and legal expertise of the Center, with all the efforts exerted to end all kinds of discrimination against women in media institutions, and to take advantage of all their rights that enhance the role of women in Palestinian society. Hammad called for the formation of a security belt for women journalists to protect them from arbitrary violations through legislation and fair laws enforcement on ground, especially last year witnessed a marked increase in the number of violations against media freedoms in Palestine compared to the previous year. Journalist Majida al-Bilbisi, who worked in the press for more than 20 years, opened the first session. Mrs. Bilbisi was one of the first female journalists to prove herself and her ability in this field, and stated that there were many challenges which women faced when they engaged in journalism, compared to now, pointing out that this has increased her determination to prove herself and achieve her aspirations. She added that the internal political division, which has lasted for over 12 years, has deprived women journalists of their rights and hindered their abilities to receive the needed training in the field of media, at times, due to the shutdown of media outlets and/or its branches. She also hinted at the idea that these obstacles forced her to change her specialty and focus on other topics, like environmental and human studies, rather than political. She illustrated that the challenges facing the new generation of journalists are not comparable with the challenges ehich faced the old generation, as technology in general facilitates access to information easily. On the other hand, journalist Safa’ Habeel, working at Palestine TV, clarified that, since she worked in media, she faced many challenges, including her family’s refusal to allow her to study journalism at first. She also stated that, after overcoming this obstacle, she faced several other challenges during the course of her work, particularly in the field, as this period coincided with Israeli assassination of Palestinian leaders and, then, the internal political division erupted. She started out working at Radio Liberty and Alwan, after a few years, and moved to Palestine TV, in Political Affairs, where she faced one of the worst and gravest challenges, that of working in the field during the recent war on Gaza under the bombing. This is especially stressing for female journalists who are married or have kids. For her part, journalist for Al- Risala newspaper Shayma’ Marzouq shared her experience in media work, and her expertise in investigative reports, stressing that she also faced her family’s refusal to study and work in journalism. She also clarified that any journalist, regardless of their gender, can overcome any obstacle through three ways; the first is to study and major in a field they are passionate about, where the can demonstrate their personality and have a fingerprint, second, to take time while conducting press reports, as rushing in writing only leads to bad outputs, third, credibility and accuracy in information, and ensuring the respect for the ethics of their profession. Journalist Safa’ Hassanat, from Palestine Today TV, agreed that women journalists in Palestine do face several special challenges, particularly when it comes to starting their careers and engaging in the field, stating the number of media outlets in Gaza Strip is small compared to the massive numbers of women journalists seeking opportunities to get their training and work in media outlets. She also added that women journalists in Palestine suffer from a lack of support to strengthen their presence in the field of journalism. Therefore, there is a need to strengthen the capacity of women journalists and support them in order to achieve their goals and ambitions, so women journalists lead. She also added that women journalists in Gaza need of psychological sessions for the negative energy that they attract from working in the field on a daily basis. Despite all the challenges faced by these women of the field, they managed to overcome and break through the ice of some, and succeeded in obtaining several regional and international prizes when no one expected them to. The event was moderated by Dr. Bassam Saed, and was attended by female journalists, CSOs, representatives, and lecturers of Universities in Gaza.